To heat-up various acidic solutions where no metal withstands. Generally this heater is used in electroplating industries. The heater is operated vertically only. Sheathing–This type of heaters have quartz silica tube sheathing, closed from bottom. Rubber cap with terminal wires are mounted on the top. Heater terminals are fixed very firmly with the outer wires. 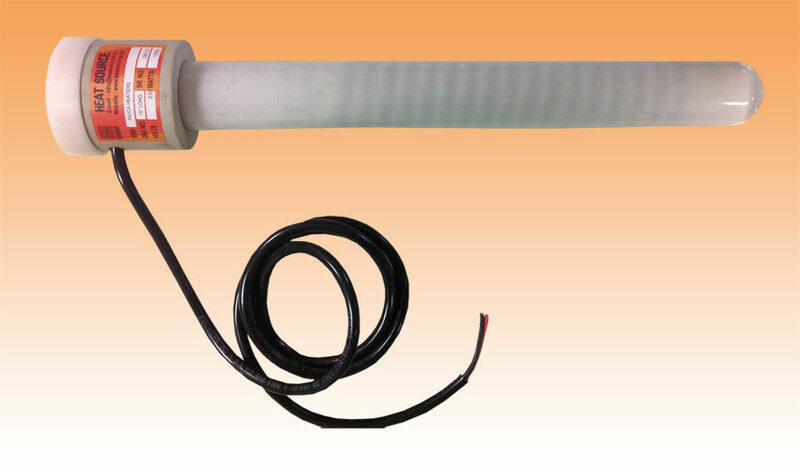 It consist of non-sinkable heating element, as the heater is suitable for vertical installation only. Terminal wire length – 1.5 Mtrs.